GoZebra 2010: Trade in for cash back! Through the end of 2010, end users may be able to get as much as $400 cash back from Zebra when they trade up to a new card printer model like the ZXP Series 8. See details on this offer, and contact Laminex for pricing information on your new card printer today! We ♥ ZXP-8 from Zebra. If you have not yet seen this printer run, then you really need a demo. The ZXP will output cards at up to 190 per hour in brilliant photo-quality color. ZXP will change the way you think about ID card printers... for the better. Well folks - it's about that time again... time for back to school shopping! If you are part of a University or College, and are in need of parking passes for your student body and staff, look no further than Laminex. We are a complete supplier of printed secure passes and labels to help you secure your campus today! 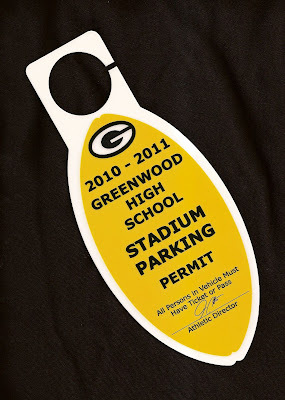 View our assortment of parking passes in our new online catalog. Several large card manufacturers in the market have big plans for the rollout of a "new" alternative to PVC blanks. CornCard USA is the brand name for Arthur Blank Co's (ABCO) new corn-based card product. The product contains no PVC, and does not release toxins when burned or recycled. Laminex currently offers several environmentally friendly alternatives to standard plain PVC card stock. Two alternatives that perform very well are the Bio-PVC (biodegradable plastic material) and the 100% recycled PVC card. 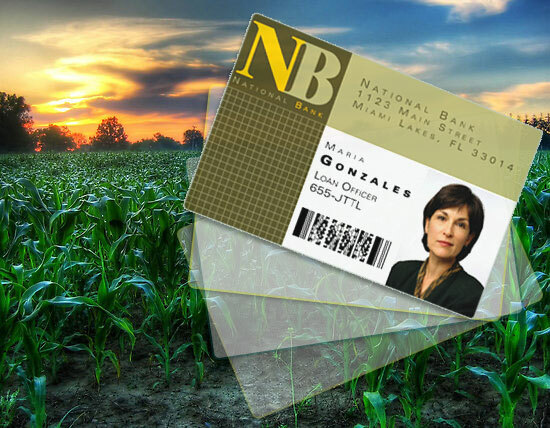 Corn-based cards are perfect for pre-printed gift cards or for customers who only need to surface print with monochrome resins. Early versions of the corn-based cards preformed poorly on YMC dye sublimation printers, but later versions of the card are proving to be better ink substrates. That said, retransfer technology printers like the Zebra ZXP-8 are making that early finding into a nonissue. For more information on our card materials and printer products, please visit the Laminex website. Corn-based cards are showing up every day in the gift card market. Although every customer is not asking for a suitable alternative to PVC, when a large "top 50" company finally does, the market will take notice. If environmental responsibility doesn't turn the tide, then oil prices may eventually drive a change. Currently, corn based card products cost roughly 10% more than PVC based offerings. If that gap shrinks to 2-5% we may have a real race on our hands. Our new football shaped parking hang tag is pretty sweet. Let us know if you would like a sample sent your way. 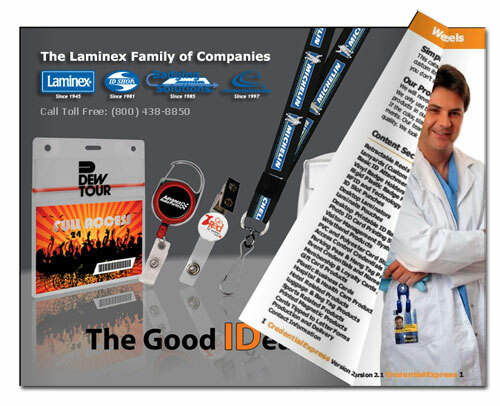 See some ideas and product samples in the CredentialExpress catalog here. The Good IDeas Catalog 2010. Feel free to email us if you you would like a hard copy for yourself. It's full of good IDeas!